Ernest Morrell is the inaugural Macy Professor of Education and Director of the Institute for Urban and Minority Education (IUME) at Teachers College, Columbia University. He is also a Fellow of the American Educational Research Association and president of the National Council of Teachers of English (NCTE). 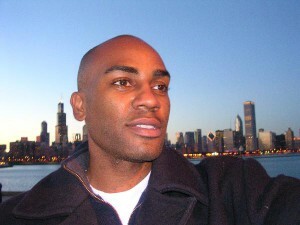 His research has focused on (1) innovative socially, culturally, and technologically relevant pedagogical practices that promote academic literacy development, civic agency, and college access, (2) youth literacy practices in the digital age and (3) critical theories and of teaching and learning. Ernest has written more than 60 articles that have appeared in journals such as Teachers College Record, the Journal of Teacher Education, Reading Research Quarterly, English Education, the English Journal, the Journal of Adolescent and Adult Literacy, Action in Teacher Education, and the Annual Yearbook of the National Reading Conference. He has written numerous book chapters and authored six books including Critical Media Pedagogy: Teaching for Achievement in City Schools, The Art of Critical Pedagogy: Possibilities for Moving from Theory to Practice in Urban Schools and Critical Literacy and Urban Youth: Pedagogies of Access, Dissent, and Liberation. Ernest has earned numerous commendations for his university teaching including UCLA’s Department of Education’s Distinguished Teaching Award. He received his Ph.D. in Language, Literacy, and Culture from the University of California, Berkeley where he was the recipient of the Outstanding Dissertation award.